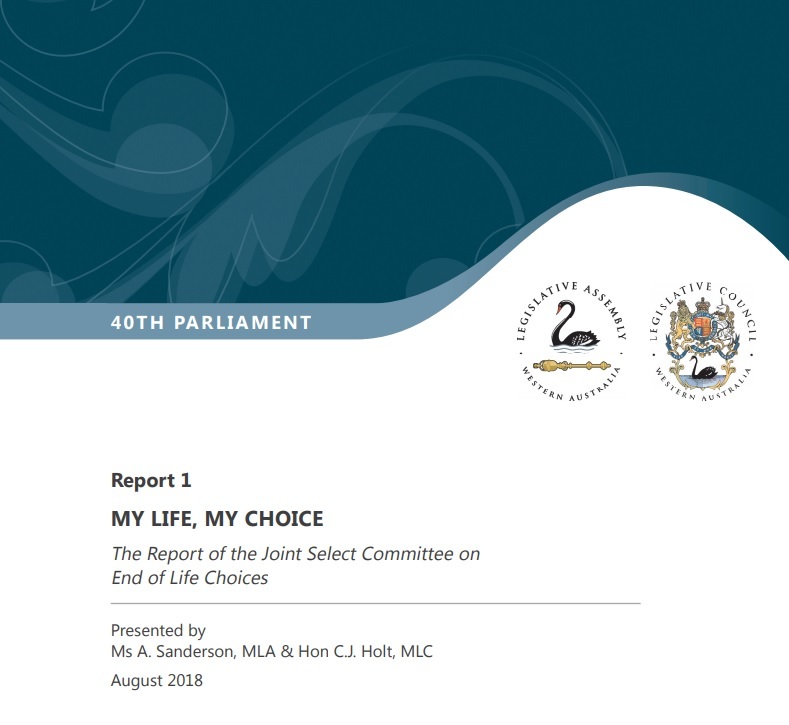 The Western Australia Joint Select Committee on End of Life Choices conducted an extraordinarily thorough review and consultation process in preparing its recent report. Among other topics, the report addresses “refusal of food and fluids.” This confirms my own analysis in several articles and presentations. A competent person’s absolute right to refuse to eat and drink is clear at law, but not well understood by some health professionals. In the case of a refusal of food and water by a competent person at end of life, there is clinical and legal support for the position that it is similar to the refusal of medical treatment and therefore is not suicide. Accordingly, in circumstances where a competent patient at end of life has elected to refuse food and water, it is appropriate that the person be provided with palliative care. WA Health should provide ongoing professional development – beyond undergraduate training – for all health professionals regarding the absolute right of a competent patient to refuse food and water. Training should also include those working in aged care.